Salavat Yulaev tries to solve goaltending problems. KHL.ru continues to present some of the top transfers of the offseason. It looks like in Ufa, people are used to having a problem on goal. Whoever moved to Ufa among goalies only needed a few games to turn into a bad-goals artist. Niklas Svedberg and Ben Scrivens had an almost perfect reputation before moving to Salavat Yulaev, turning into a laughs-stock as soon as they wore the Green uniform. Juha Metsola is the new Ufa attempt to gain a strong number one goalie who can lead the team to the second Gagarin Cup title. The Finn goalie is in the KHL for three seasons already, thus he should have no problems in adapting to the new environment. Playing in Khabarovsk, he showed to have no problems with long flights and time zone changes, unavoidable playing in the Russian Far East. The 29-year-old goalie left Khabarovsk with a mission-accomplished feeling, as he managed to backstop Amur to the postseason at the third attempt in March. Juha is used to solve a lot of problems alone, therefore he won’t be scared by the offensive hockey usually played in Ufa. After three years, Metsola can once again fight for the title after three consecutive silver medals in the Finnish Liiga with Tappara. The KHL’s 10th season wasn’t a good one for Metallurg. For most of the season, the team was on the edge of the playoffs zone and for some periods was even outside of the top-eight. During the campaign, the directors fired the head coach Ilya Vorobyov and got back former leaders like Chris Lee and Wojtek Wolski. The much-needed rebuilding was delayed for a further season. In front of GM Gennady Velichkin, there was a hard choice: signing UFAs, thus again having to deal with older players, or signing RFAs, but needing to pay a compensation. The Ural team opted for the second solution as they not only signed Nikita Yazkov off Ak Bars but also acquired Ivan Vereshchagin. The 23-year-old defenseman was called this Spring for the first time to the Olympic Russian National Team as he had his best season in his career so far. With 22 points, he was Sibir Novosibirsk’s top-scoring defenseman. Spartak is already the third KHL team for the Slovak goalie. Individually, he had a great season, Severstal got to the playoffs and had many of his famous post-game shows. But it hasn’t been always like that. Probably not many remember that, five years ago, he went to Sibir and ingloriously left the team already after his first game. To replace the Slovak netminder, Sibir acquired Mikko Koskinen and his backup became Nikita Bespalov. Hudacek and Bespalov had a short sting together in Novosibirsk and they will be reunited in Spartak. The Red-and-Whites are planning to start the season with this goaltending duo. With Hudacek, Spartak will get not only a great starter but also a great showman. Since Sibir started becoming a good team, Stepan Sannikov was one of their key players. The workaholic forward, with his spirit and effort, became a true symbol of Sibir Novosibirsk’s style. The team and the player were really fitting one another. Maybe in another team, he wouldn’t have got a chance to grow into a national team player but at the 2016 IIHF WC in Moscow he played on the team’s first line, side by side with Pavel Datsyuk and Sergei Mozyakin. After winning a bronze medal, he was even given the national team’s captaincy at one of the Euro Hockey Tour stages. The same responsibility that Sannikov had with his home club, but during the last season he voluntarily left the C to his teammate Sergei Konkov. For the Solikamsk-born forward, Novosibirsk became a second home, and he left it to resume playing with Dmitry Kvartalnov and fight for the Gagarin Cup. When Kvartalnov was coaching Sibir, he put a lot of trust in the then-young forward, and now the duo will be reunited in Yaroslavl. During this offseason, Sibir is not only losing players but is also trying to actively replace them. Next year, instead of the Swedish dynamic duo Bergstrom – Zackrisson, the directors created a Finnish Connection as they signed two fresh Liiga champions. As soon as Karpat defeated Tappara in the finals, it was announced that the two Ermines will move to the remote Siberian lands. Both players promise to be great signings. 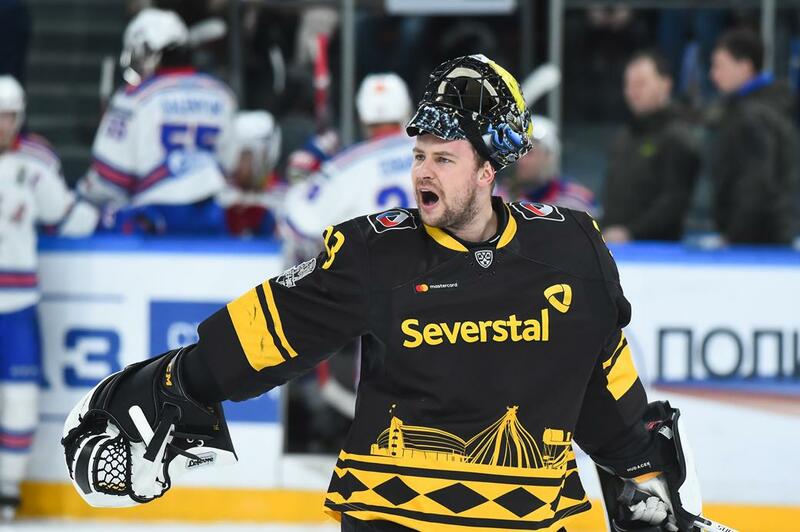 The French Bertrand won the Aarne Honkavaara Trophy as the regular season’s top goalscorer and played the playoffs in the golden helmet. The Finn Junttila was the league’s MVP. Both forwards are technique-sound, fast players – the kind of player that Vladimir Yurzinov likes to have in his teams. Yurzinov worked in Finland for many years and knows very well the local market. Most likely, the team won’t have any problems with their foreign players. Yugra left the KHL and that meant a lot of players on the market. In all the latest few seasons, the team’s game plan was built around Pavel Varfolomeyev. Surely, Morozov and Marchenko have a bright future in front of themselves in St. Petersburg, but they played only a handful of matches for the Mammoths. Varfolomeyev was part of a solid line with Evgeny Lapenkov and Denis Gorbunov and when that line stopped existing, Pavel kept on delivering. 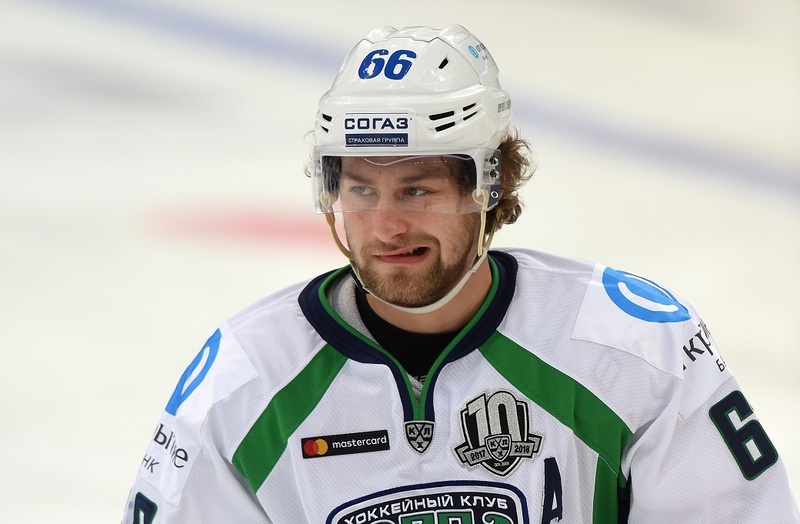 It’s not surprising that, once Yugra left the KHL, many teams started a war to acquire the 23-year-old forward. Avangard acquired the rights on the player, but Metallurg got into the battle as they wanted to return their alumni to the team. 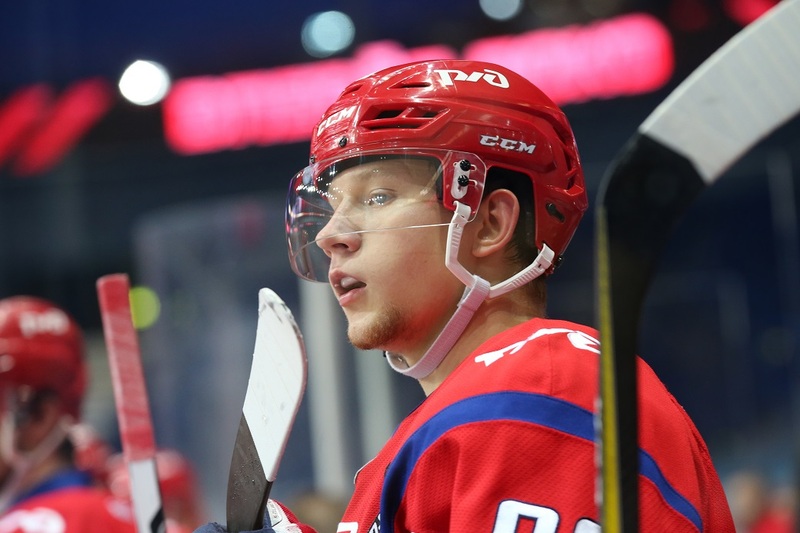 The law was on Avangard’s size, but Gennady Velichkin didn’t surrender and the next day traded defenseman Nikita Pivtsakin to Omsk to return Varfolomeyev in Magnitogorsk. Even if Pavel won’t be as successful as Mozyakin, who plays on his same position, he will definitely help the team in creating some secondary scoring. Zernov’s situation was very similar to Varfolomeyev’s. The Togliatti-born forward was the most valuable lot from the Lada sales. Before getting UFA status, Lada sold the rights on the 22-year-old center to Avangard Omsk. 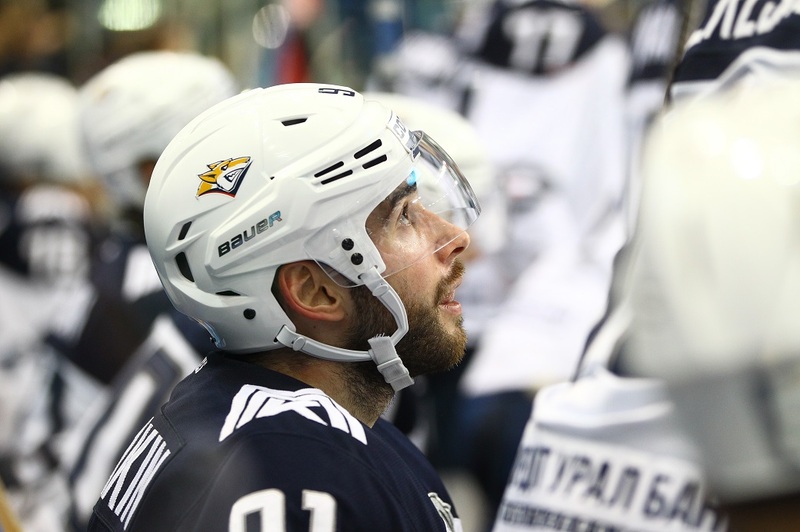 Once again, Metallurg challenged the move, thinking that it was illegal. The Zernov move to Omsk was recognized as legitimate too, but the Varfolomeyev scenery wasn’t repeated. Metallurg was probably not as interested as with Varfolomeyev, or maybe they did not find trade commodities, and Zernov is now an Avangard player. In the new season, Denis will have to face tough competition to find a spot in his new team’s second or third line. Most likely, his direct rivals will be Valentin Pyanov and Kirill Semyonov who, alternately, centered Avangard’s young guns line. The 26-year-old defenseman was a part in the Varfolomeyev’s trade to Magnitogorsk, but the return of Pivtsakin in his native Omsk is definitely worthy of a separate mention. Four years ago, the Omsk-native defenseman decided to have a change of scenery and openly talked about his wish to play in the NHL. However, he didn’t manage to cross the Ocean and instead moved to the Russian capital. In the years spent with the Red Army, Pivtsakin didn’t manage to become a true regular player for CSKA, therefore he had to forget about playing for the national team. Pivtsakin was finally back to his best hockey when he was called to improve Metallurg’s defensive lineup. The team suffered an injury outbreak and Pivtsakin played like never before. Now he will have to solve Avangard’s problems. The defenseman has now entered his prime and is a good candidate for a spot in the first-second line. Nikita Filatov’s career so far has been a true roller coaster. The then-sixth overall NHL draft pick one day shows everyone all his talent just to fall from the radars the next day. He didn’t reach the star status yet, but the Red Army alumni has all the tools to become a very good KHL player. He showed that playing for Lada, where he scored 40 points in the 2016/2017 season. However, once again Nikita failed to keep the ball rolling. More than everything, it has been a problem of injuries. Filatov ended the season in Nizhnekamsk, but he did not get accustomed in the Andrei Nazarov’s team. He is not really a Nazarov-style player, as the former NHL tough guy prefers energetic players who are able to show their teeth, but Filatov is another kind of player. It was rumored that Filatov would join Sibir and Vladimir Yurzinov, but in the end, he’s back to the Russian capital. He did not join CSKA but signed a contract with Spartak. In the Red-and-Whites roster, there are many technique-sound players with whom Filatov can play, like Alexander Khokhlachyov and Ilya Zubov. Kruchinin had a breakout season last year in the KHL jubilee season and it could not go unnoticed. The forward was one of the bigger reasons why Traktor won the KHL bronze medal. In the playoffs, his combinations with Vitaly Kravtsov were the most dangerous for the Black-and-Whites opponents. Moreover, he was like an old brother for Traktor’s diamond in the rough. However, in spite of the rumors, the forwards didn’t join SKA together as Kravtsov will keep on playing in Chelyabinsk. Kruchinin can play both in the middle and on the wing and will be useful for SKA with his universality. Moreover, the transfer is even more interesting considering that Kruchinin started his professional career in St. Petersburg. He had his KHL debut with SKA in the 2011/12 season; then he was sent to Lokomotiv to help the team to get back to the ice after the September 7 tragedy. Andre Petersson maybe is not a legend for Kazakhstani hockey fans as Brandon Bochenski, but he’s surely not a worse player. In his four seasons in the KHL, he scored more than 20 goals twice. Petersson is a technique-sound forward with a great shot. The only thing where he could have been criticized is his playoffs performance, but only until last year. In the 2017/2018 campaign, Avangard moved past the first round and the team’s top scorer was the 27-year-old forward. Andrei Skabelka already left the team but inviting the Swede to Barys was his initiative. If injuries won’t bother him, he can aim to break his goals record. However, he will need good linemates to do so. For example, Brandon Bochenski. It looked like they were destined to always play together. The line Korshkov – Kraskovsky – Polunin has spontaneously appeared, and they quickly escalated up to becoming the most promising youth line in the country. This line not only had a regular spot in the Lokomotiv lineup but also made it to the national team. Initially, only in the junior national teams, but then even in the senior one. It’s hard to tell what happened, but at one point, Alexander Polunin fell out of this line. All started in the first few months of the last season. 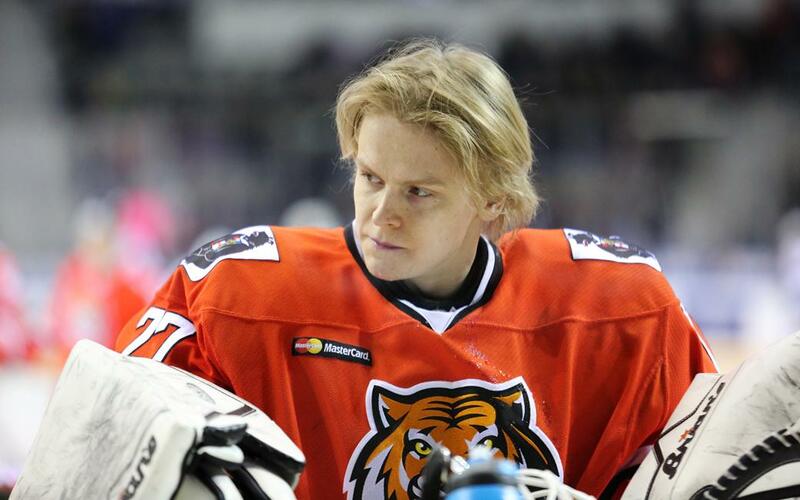 Without thinking too much, Alexei Kudashov sent him to the JHL. The diminutive forward wasn’t much appreciated also by the new Lokomotiv head coach – it’s quite notorious that Dmitry Kvartalnov prefers power forwards. 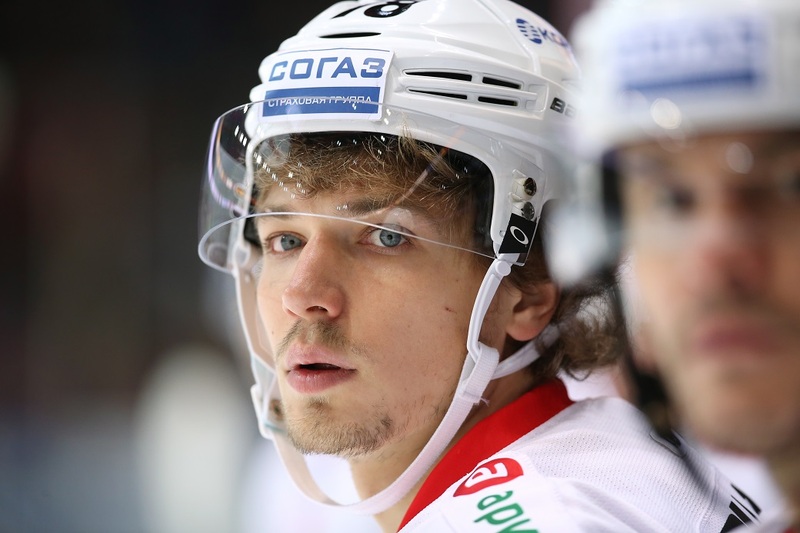 As they failed to find Polunin a place in the lineup, Lokomotiv traded him to HC Sochi. On the Black Sea shores, young players are kept in high consideration and, having lost Padakin to Ak Bars, the Leopards needed a new young star. Five years ago, a young, promising Latvian goalie had his KHL debut with Dinamo Riga: Kristers Gudlevskis. It was clear that he had a lot of potential, however, he preferred trying his luck in North America with the Tampa Bay Lightning – the team that drafted him. At first, Gudlevskis was a concurrent for Andrei Vasilevsky, who’s two years younger, but soon the Russian goalie found himself playing in the NHL, while the Latvian stayed in the AHL. He would play for the Lightning’s farm team and play maximum one NHL game per season. In the end, Gudlevskis was traded to the New York Islanders, with whom he didn’t play a single minute. In the meantime, Gudlevskis lost the position of Team Latvia starting goalie to Elvis Merzlikins. It became clear that a change of scenery was needed. Gudlevskis is now back to his root, having signed a contract with Dinamo Riga. In the Latvian capital, he will almost have the guarantee to play as much as he wants to. Is it enough to get back on track? Enver Lisin’s career has been full of ups and downs. As a very young forward he moved overseas, got back fairly soon, and then was freed up by Metallurg Magnitogorsk for the Admiral expansion draft. 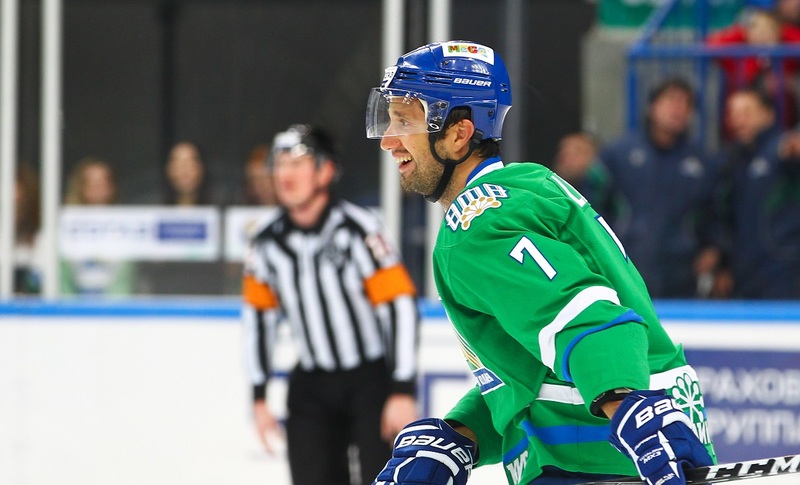 In Vladivostok, Lisin managed to revert the trend and start from scratch, even becoming a captain for the Seamen. Since then, Enver is considered maybe not a star, but surely a solid player. He was even called up to Team Russia for a bunch of Euro Hockey Tour games. He also played at the KHL All-Star Game in Ufa, where he set a new record for the speed skating competition. So, why Salavat decided to part ways with such a valuable player on their roster? On one hand, the team wanted to save some money, and from another hand, Enver didn’t have strong stats in the playoffs. In any case, the move was quite surprising. Sibir decided to jump into action and fastly signed the forward, who is now almost guaranteed of a spot in the team’s second line. The 32-year-old veteran is Sibir Novosibirsk’s most experienced player. Will Vladimir Yurzinov consider him as the new leader of the team? Another player who tried to make it to the NHL through farm teams. Sergei Tolchinsky spent the latest six years in North America, and it almost looked like people – undeservedly – forgot about him at home. He is a forward with very good hands and great skating abilities, but he didn’t manage to show his best parts with consistency so far. Moreover, he didn’t get many chances in Carolina, having played just four games in three seasons. The CSKA alumni, who only played one season in the JHL, will now try to win a spot in the Red Army lineup. The competition will be very high and considering that he joined the team only on a try-out he has no guarantees, but he has all the tools to succeed.